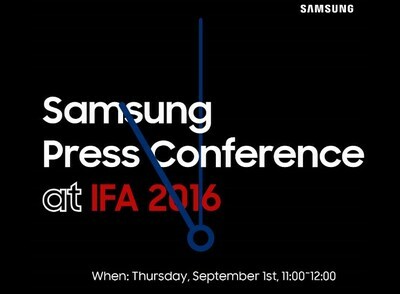 Following the successful launch of the Galaxy Note7, Samsung have started rolling out invites for their next big event that is scheduled to take place on September 1st at IFA Berlin. The South Korean tech giants are all set to welcome a new member to its smartwatch family, the Samsung Gear S3. We are expecting to see a full circular device with a rotary dial. Besides the watch, the company might also make a few other announcements pertaining to their new health-focused sensors. That’s all the inside scoop we have for you guys right now so do stick around for any other developments before the September 1st event.